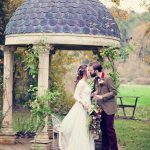 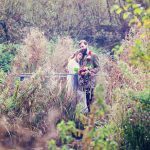 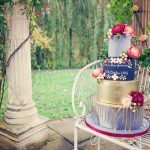 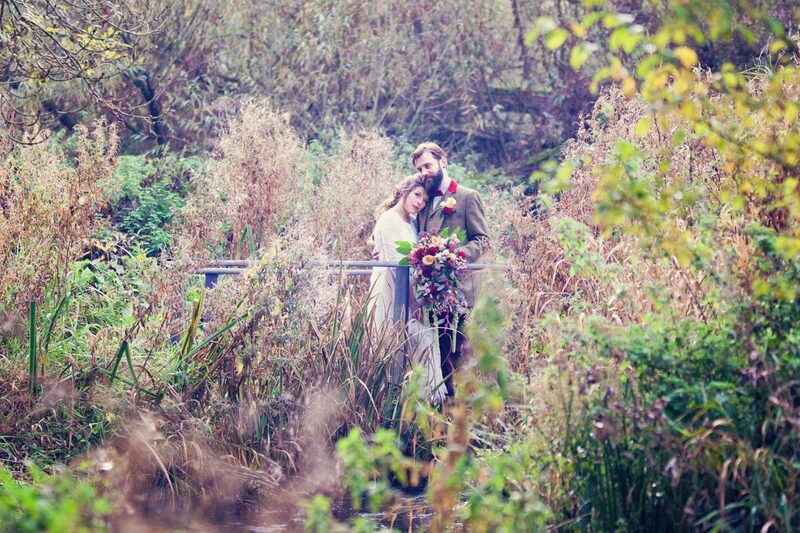 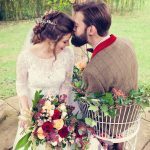 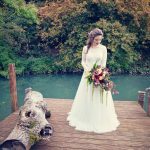 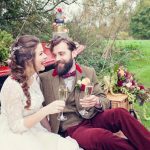 Set in the beautiful Oxfordshire countryside of the Cotswolds, this Wind in the Willows styled bridal shoot is an outdoor, autumnal adventure. 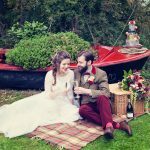 Complete with vintage transport alongside a picturesque river, followed by a celebration in a grand hall dressed in marsala and gold, with chalk board and marble design features plus tactile fabrics like tweed, corduroy and suede. 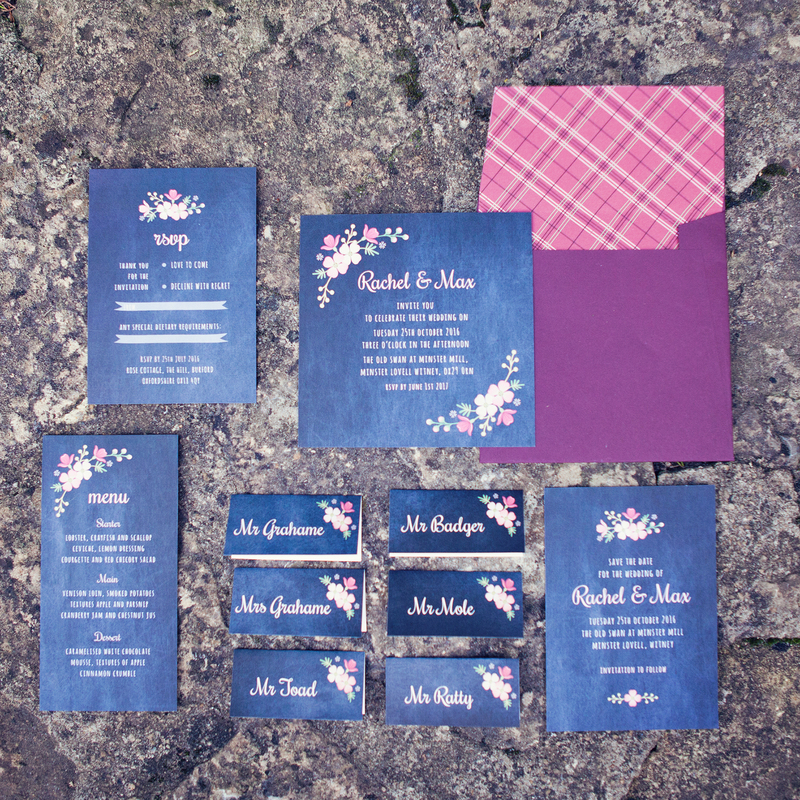 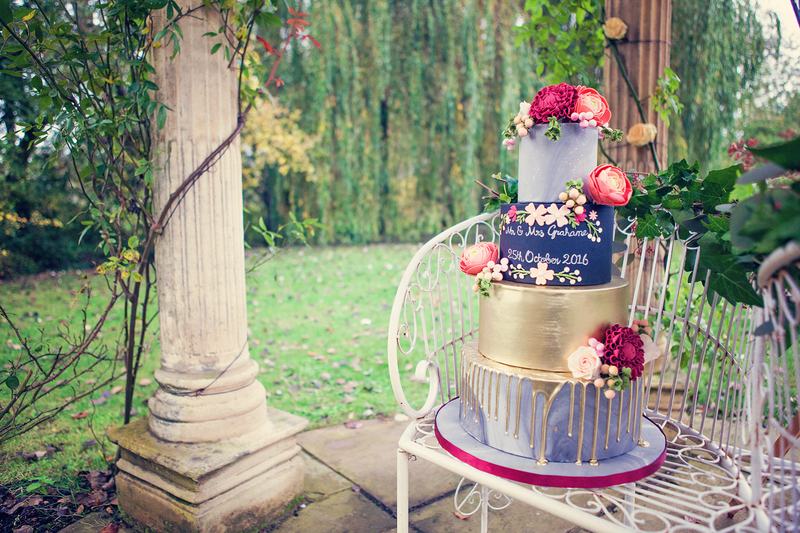 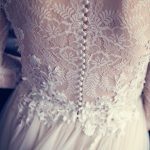 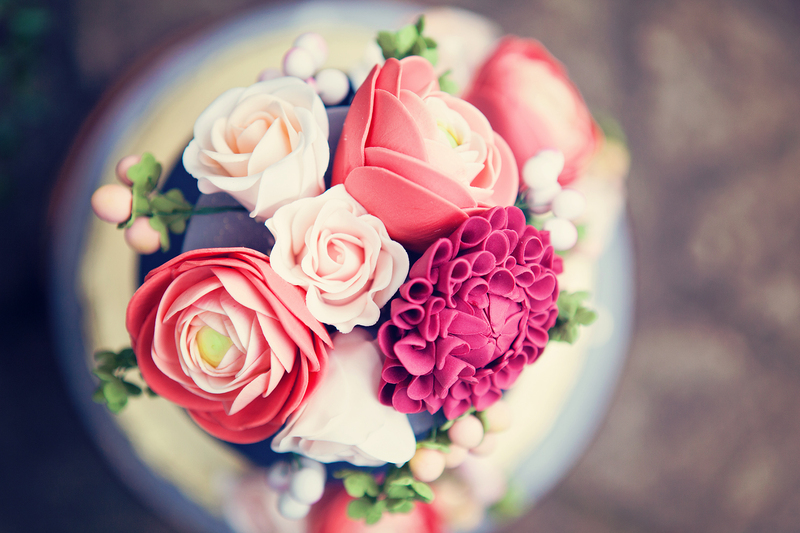 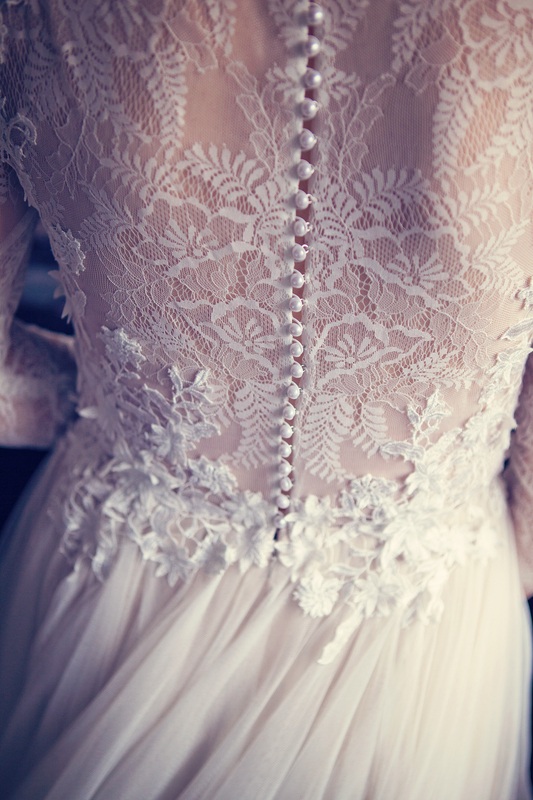 Planned and designed by Hanami Dream and wonderfully captured by Farrow Photography. 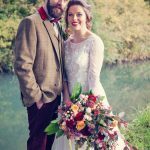 It is a true celebration of the beauty of nature and encapsulates the sense of an outdoors adventure as typified by the Wind in the Willows book by Kenneth Grahame. 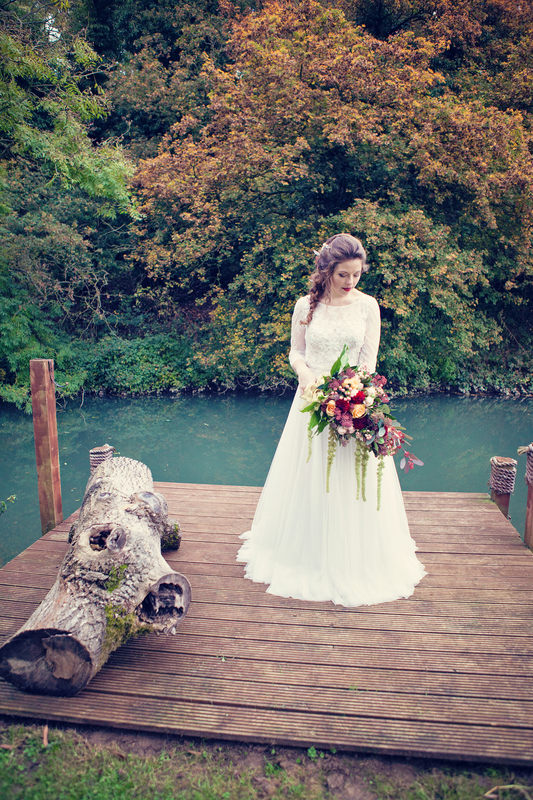 This is a chance to get away from the hectic, crowded city to a stunning and tranquil setting. 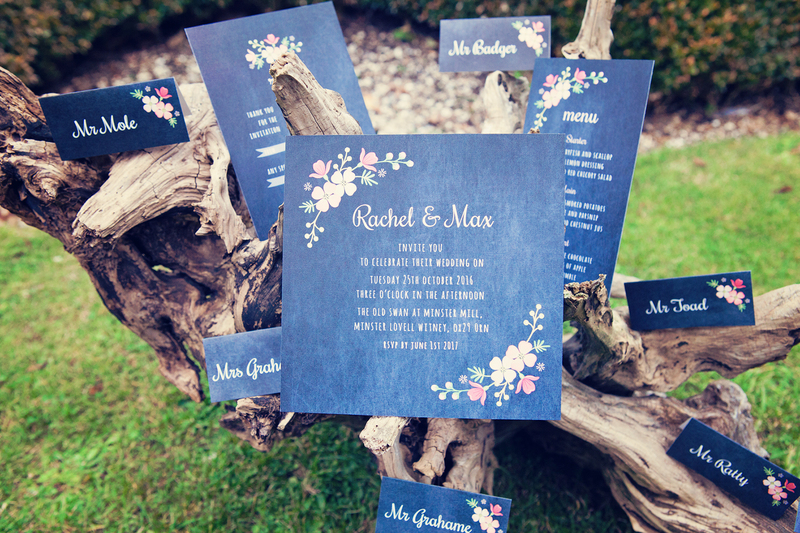 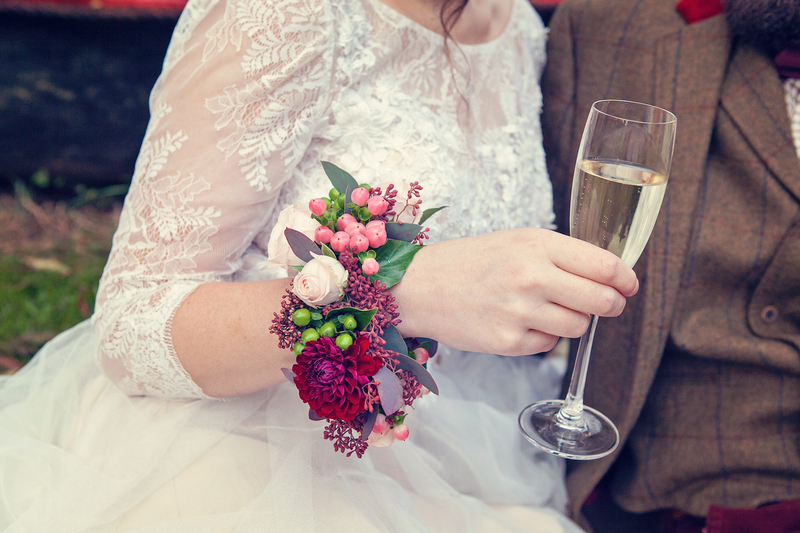 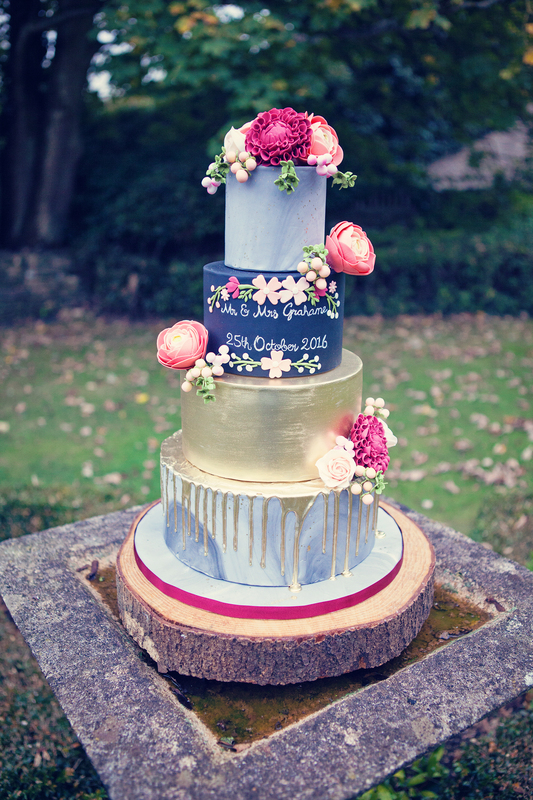 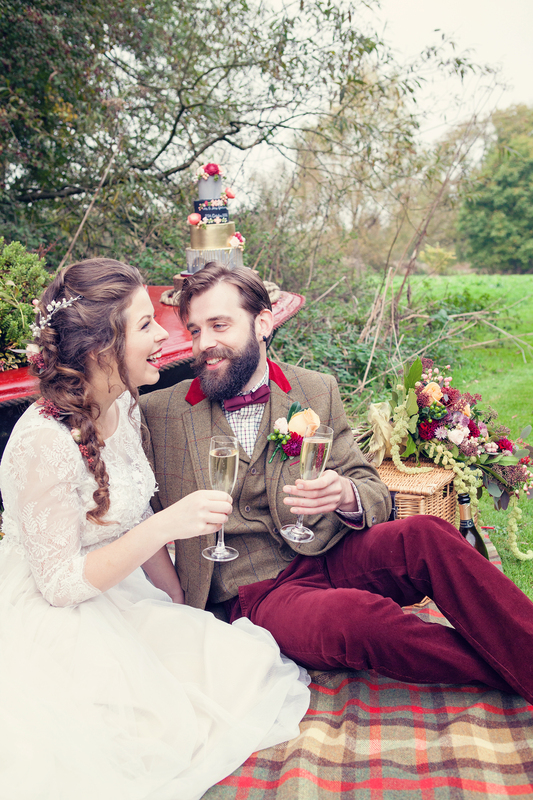 Mole, Ratty, Toad and Badger would be proud to attend this relaxed bohemian wedding. 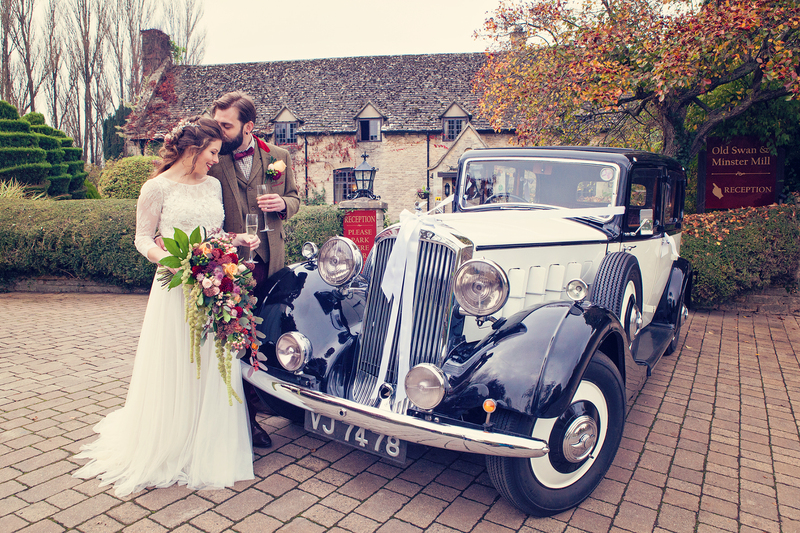 The Old Swan and Minster Mill was a perfect location for this wedding where the bride and groom gazed at one another during their wedding ceremony whilst on the love seats under the Temple Garden. 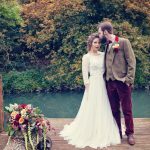 This had the amazing backdrop of a splendid willow tree draping it’s branches in to the River Windrush, flowing on it’s way to join the River Thames. 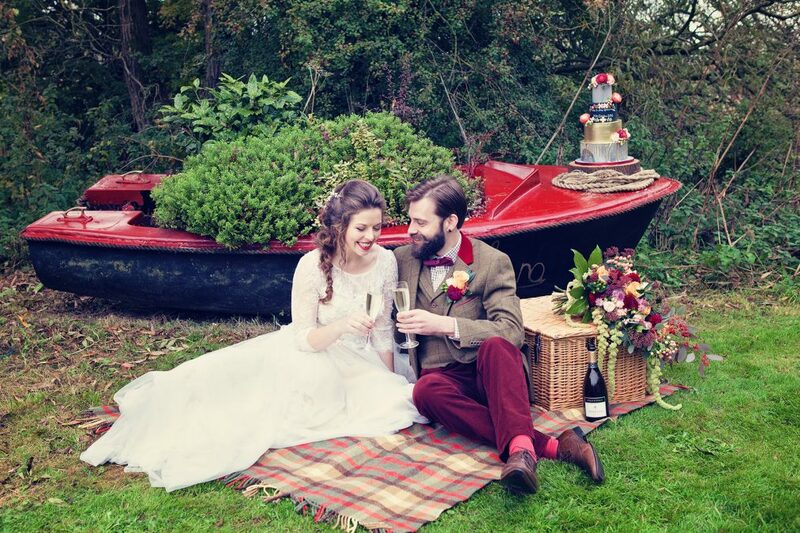 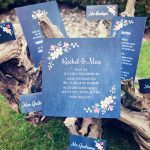 The couple moored their rowing boat by a disused boat house, explored the peaceful setting with treks down the river, over bridges, carefree on a tree swing and enjoyed a sumptuous, rustic picnic sat on a blanket with their hamper on the riverbank. 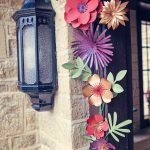 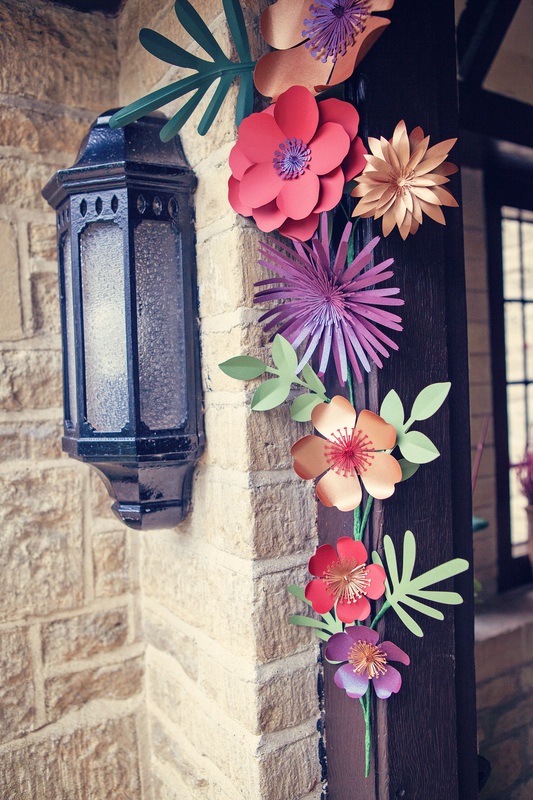 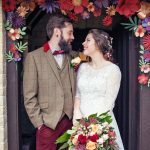 Mr Toad would have approved of the vintage Humber car (from British Classic Car Hire) to experience the open road before entering the Great Hall through a paper floral archway (by Paper Tree Design) to feast on a mouthwatering banquet. 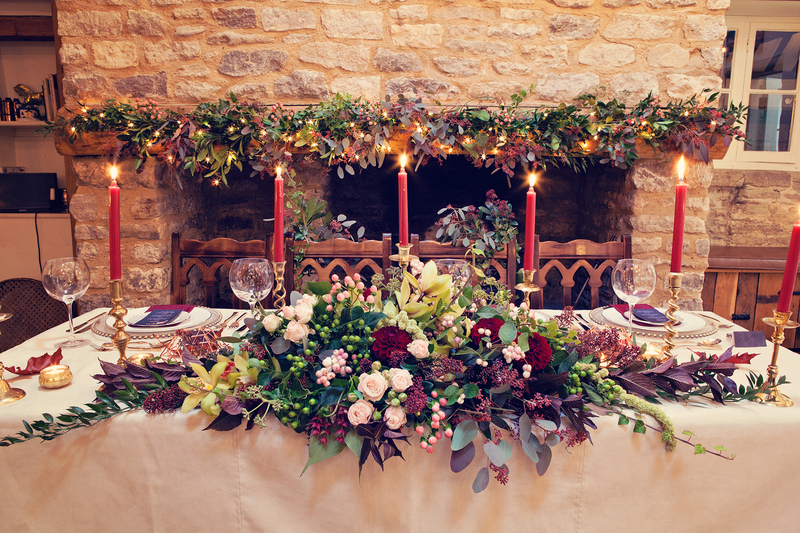 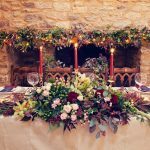 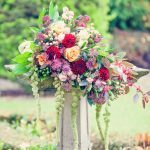 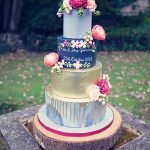 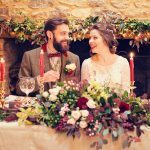 Once inside the happy couple sat in pride of place at the top table, in front of an impressive fireplace with a mantelpiece adorned with swashes of forest green foliage (from Classic Flowers) and fairy lights. 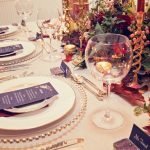 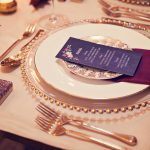 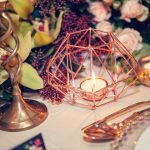 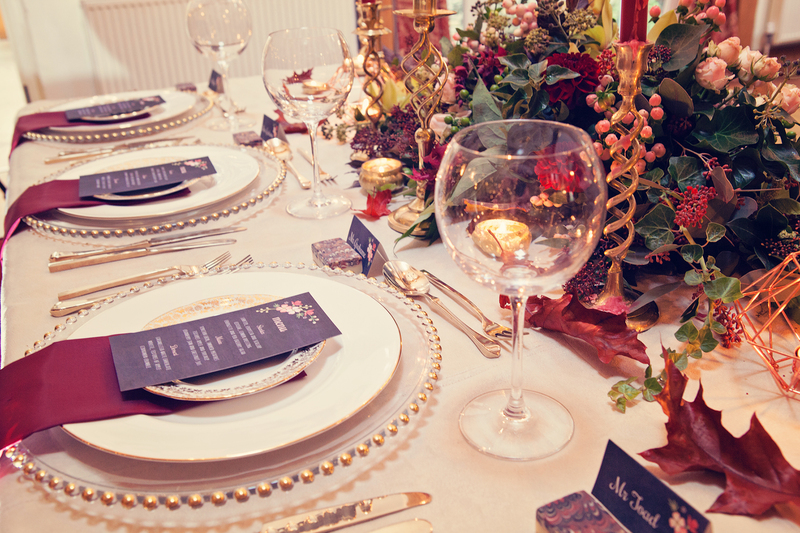 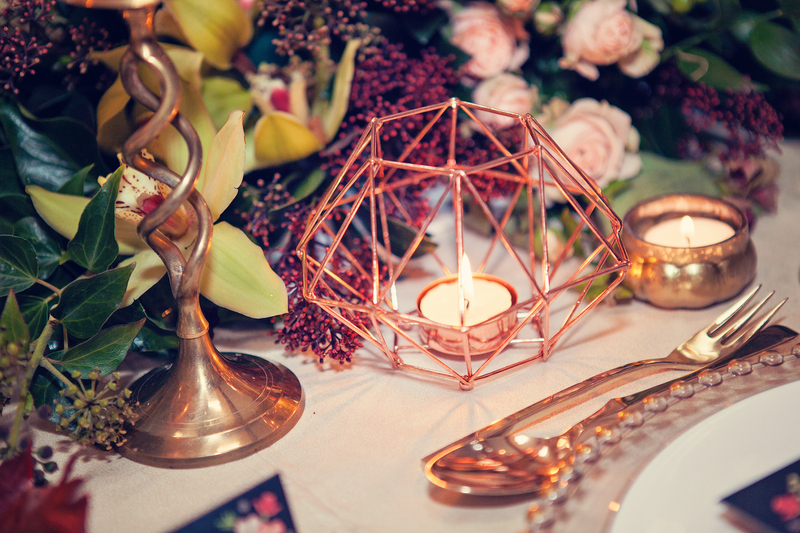 The table was luxurious and tactile complete with a suede cream table cloth, copious amounts of marsala coloured candles in gold candlesticks and geometric copper tea light holders (from Talking Tables). 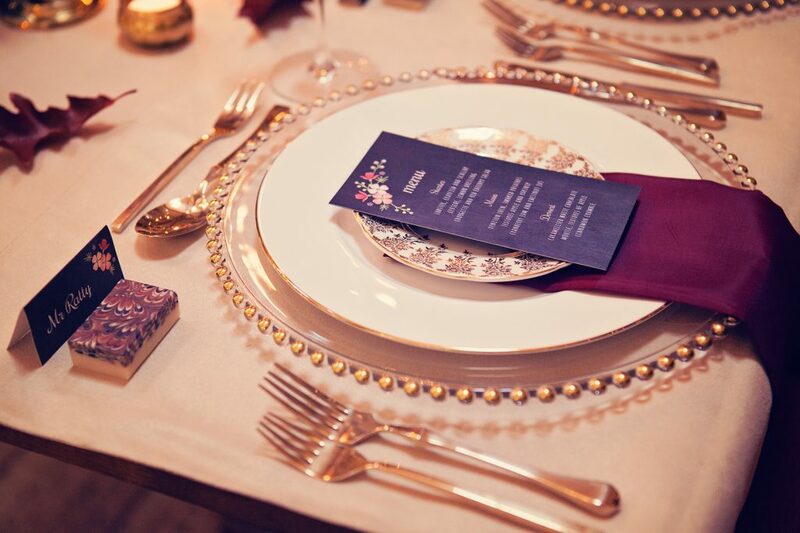 Gold beaded charger plates were topped with gold vintage crockery (from Vintage Gold China), marsala coloured silk napkins and a chalk board design menu card (by Paper Tree Design), besides gold vintage cutlery (from Vintage Gold China). 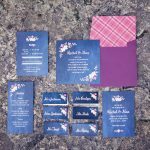 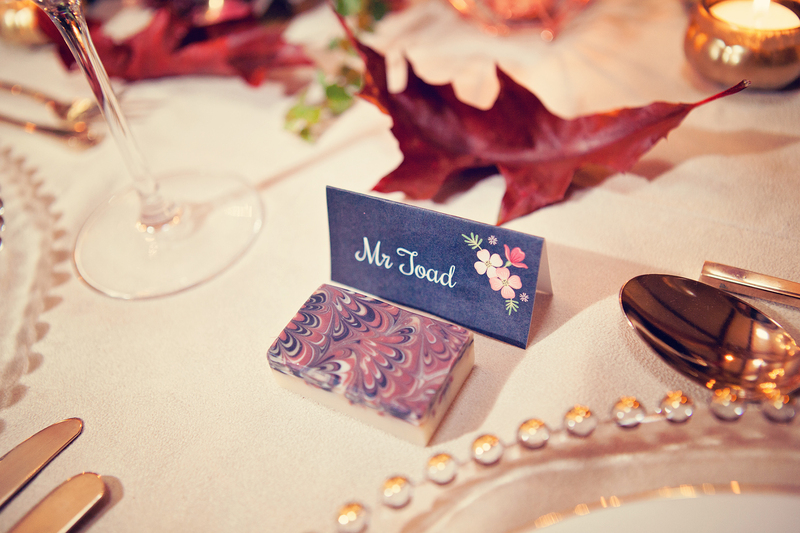 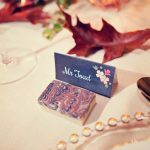 Guests found their places by referencing the chalk board style table plan and name cards (with guest names paying homage to the character names and table were named after chapters from the book by Paper Tree Design) and were given an opulent, marsala marbled soap as their fragrant favour (by Stonesfield Soap Company). 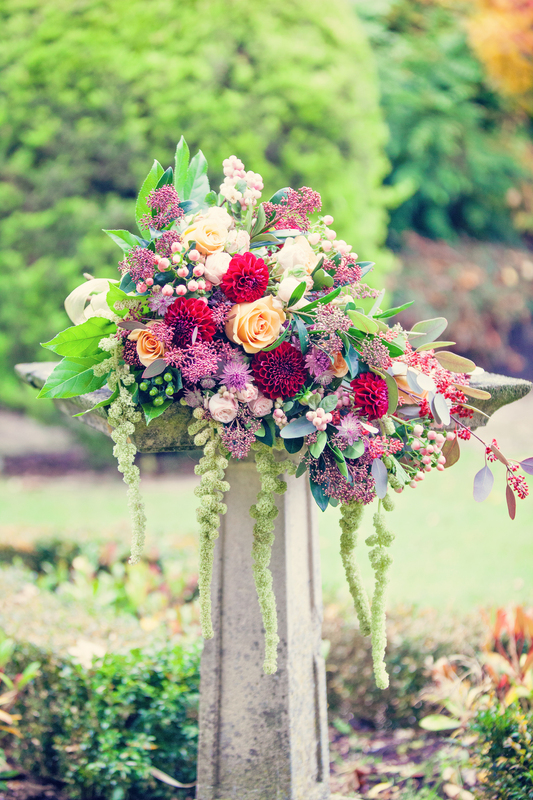 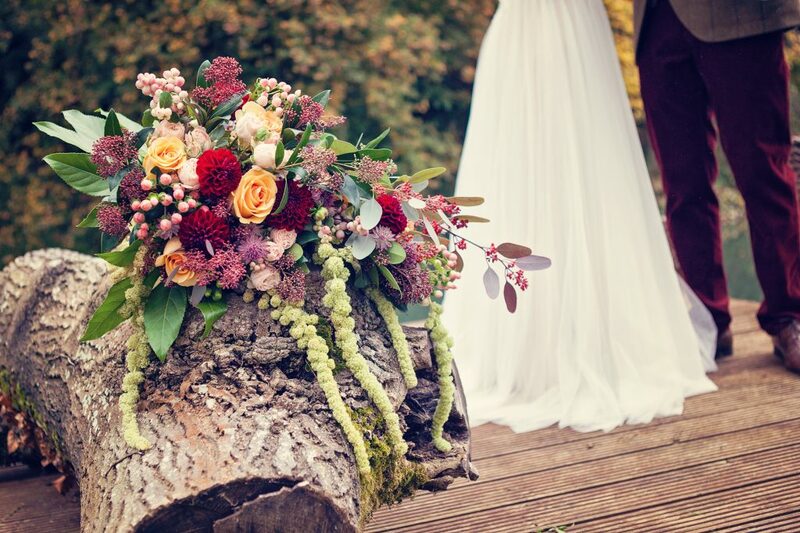 The top table was swathed in a striking floral table runner with a loose relaxed vibe containing lots of greenery along with burgundy dahlias, flowing amaranthus (mirroring the weeping willow tree outside), ranunculas, hypericum berries, snow berries, skimmia and bombastic roses. 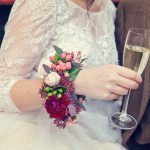 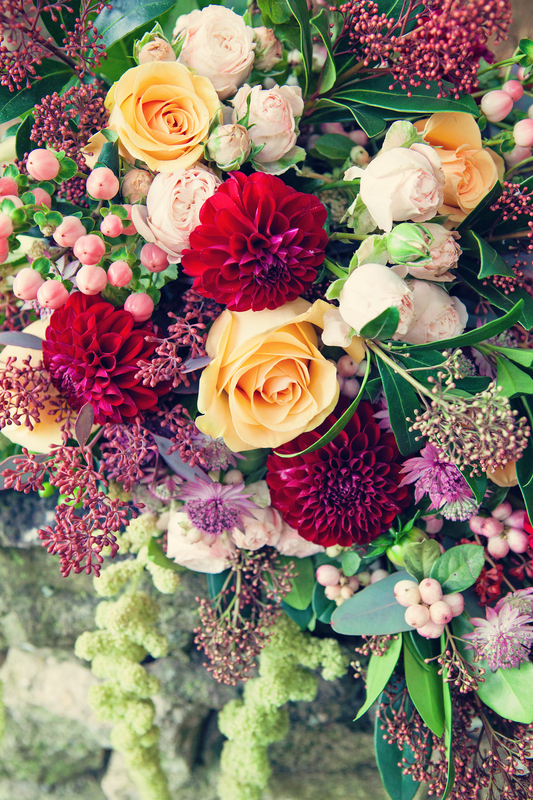 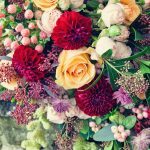 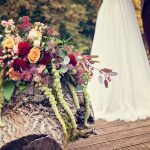 These flowers (from Classic Flowers) featured in the remarkable bouquet that the bride cradled, as well as in her loose braided hair (by Lucy Beesley Bridal), her corsage and the groom’s buttonhole. 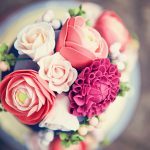 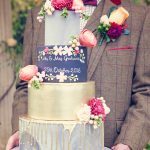 These florals were beautiful replicated on the cake (by The Pretty Cake Company) which also combined other on trend themes such as marbling, metallic gold lustre, drip effects and a chalkboard tier, which was sympathetic to the stationery and a nod to the author of the book. 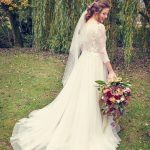 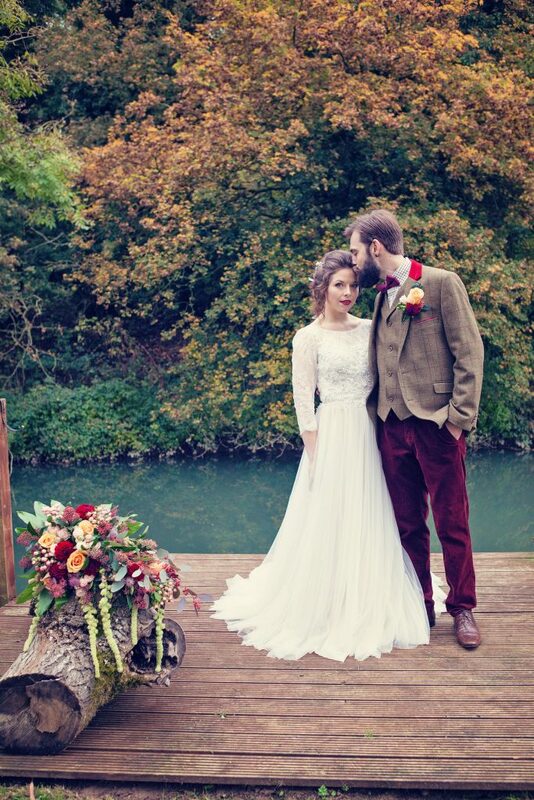 The gorgeous bride braved the cold autumnal weather, with a beautiful smile complete with marsala coloured lipstick (with makeup by Lucy Beesley Bridal) and perfectly fitted the romantic A line wedding gown with lace sleeves, sweeping net train and floral appliqued bodice by Watters (provided by Mae Bridal). 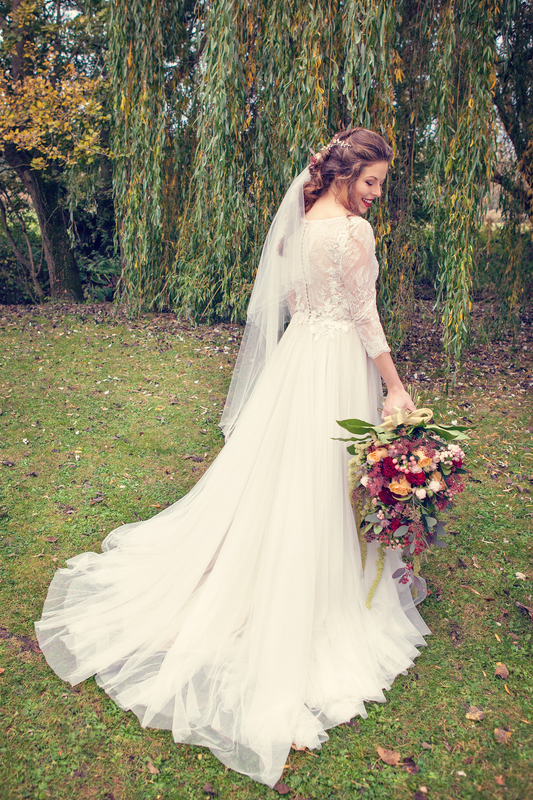 She completed her look with a short veil (by Richard Designs) worn low below a delicate hair vine (by Miranda Templeton) and gold coloured Blake shoes (by Benjamin Adams). 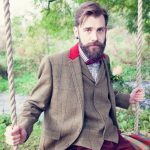 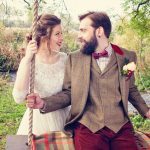 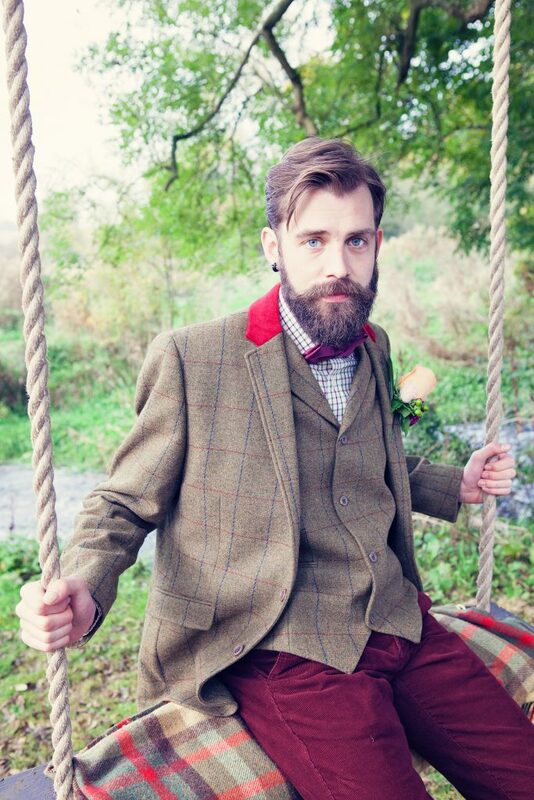 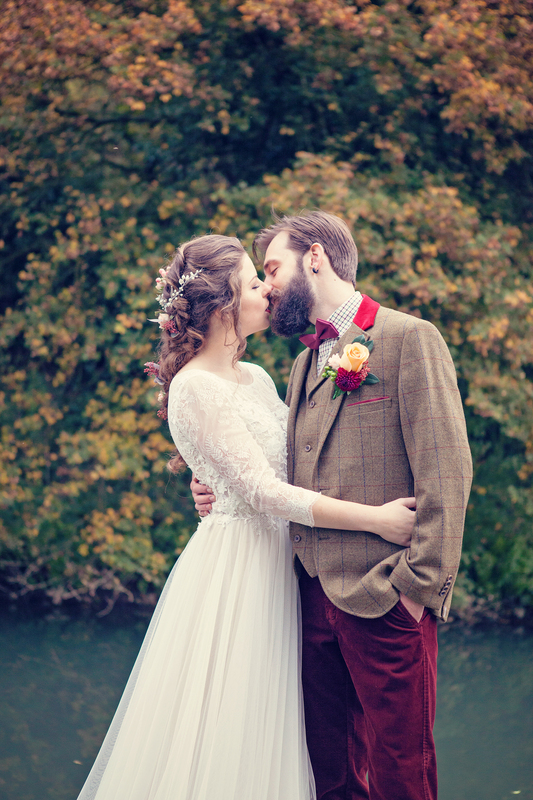 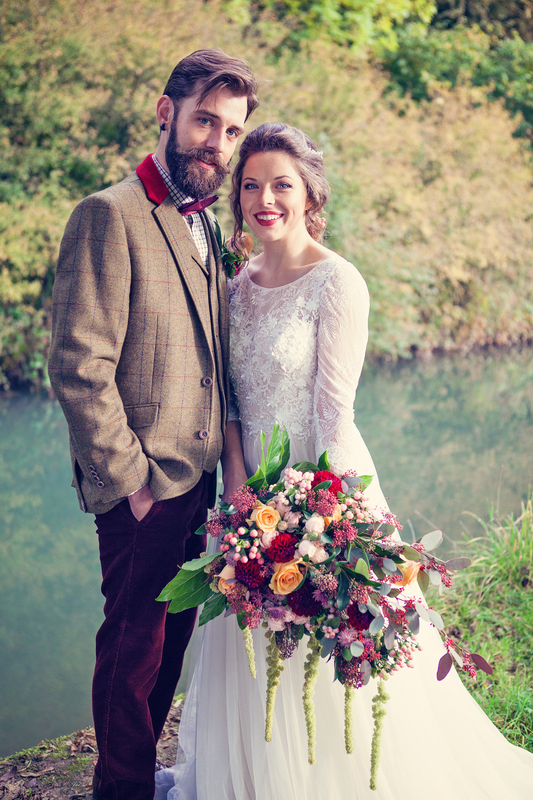 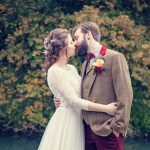 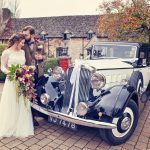 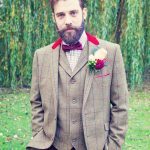 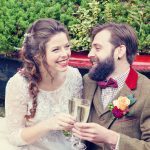 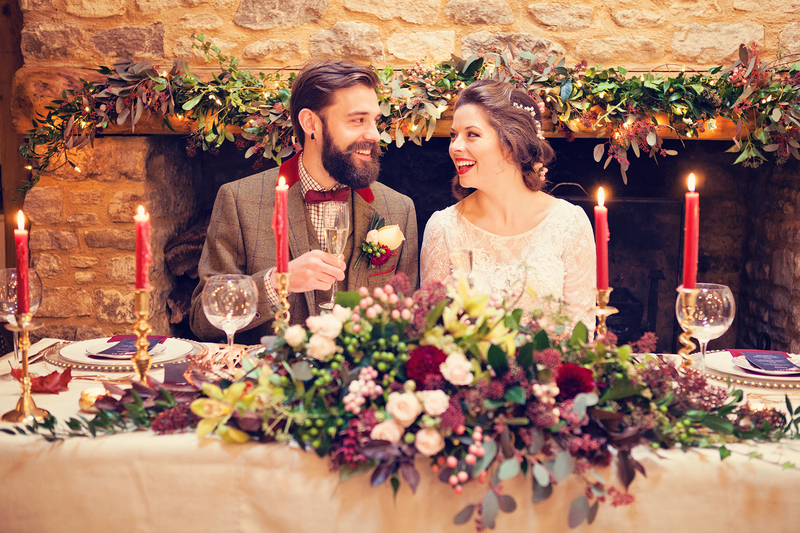 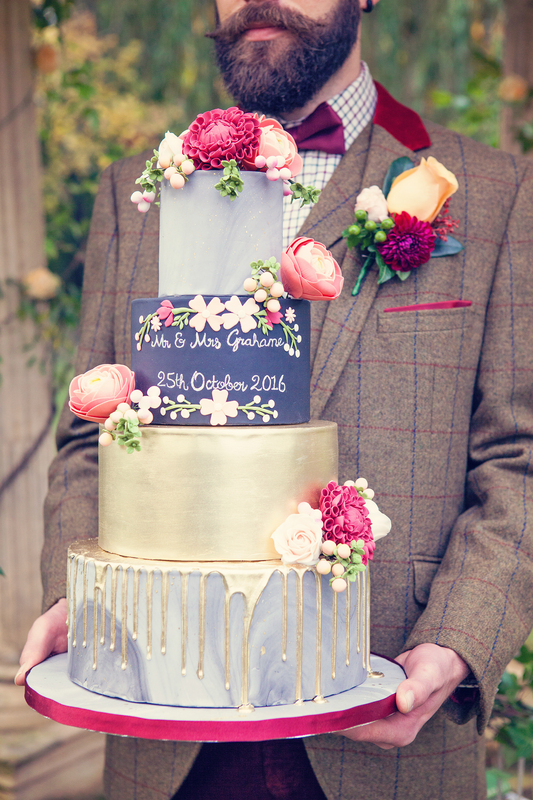 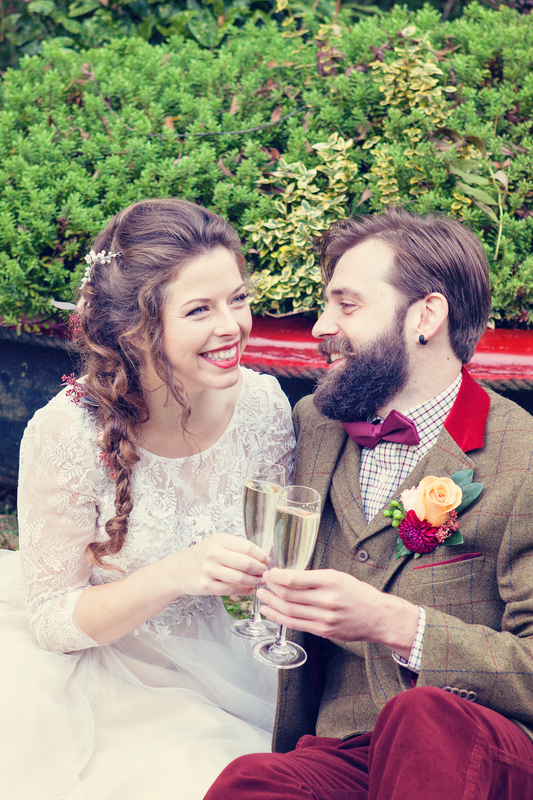 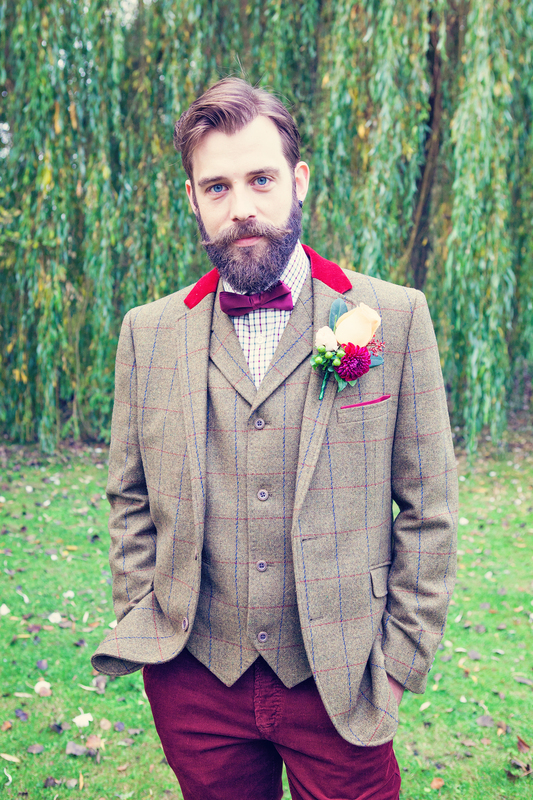 Our handsome, bearded groom suited the countryside surroundings with the dapper tweed jacket and waistcoat, coupled with a checked shirt, marsala bow tie and plush red corduroy trousers that he wore (from Keates of Witney).